Squash that turns into spaghetti? Talk about built in fun with kids. Have your little ones scrap out the inside of this squash and watch as they are amazed by the strings of pasta they find. Of course it is not really pasta... it is a low calorie, gluten- free, high nutrition, vegetable that you use like pasta. 2) Cut squash in half and scrap out seeds and stringiness. Salt and roast flesh side up on a baking sheet for about 30 minutes or until the flesh gets slightly brown and you can easily puncture it with a fork. 3) While the squash is cooling, sauté the onion and sausage in the olive oil on medium high heat in a large skillet. 4) When the squash can be touched use a fork to scrap loose it's stringy flesh. 5) Add squash, along with red pepper flakes, nutmeg, and parsley to the sausage and onions in the skillet. Mix and add more olive oil if the squash needs more sauce. 6) Garnish individual servings with parmesan cheese. Fritters, patties must have been in the mass consciousness last week because Julie made these outrageously healthy quinoa patties, so yummy made with black beans, cheese and spices. Nancy has so many tricks to make this English Pub favorite lower in fat and calories...yet still delicious. Winnie makes the greatest desserts and this traditional Jewish cookie brings back fond memories of when I taught at a Yeshiva... during Purim the kids would dress up and we would eat Hamantashan. Thank you for the party, Diane! My family would love your dish. My kiddos would be fascinated by the "spaghetti" in the squash :) I've pinned this. I think it is very kid friendly. Thanks so much for sharing my recipe Julie.. I always love yours too. I love this spaghetti squash. Thanks for hosting! I remember the kids turning my classroom upside down during Purim, even the Principal would send out letters with upside down letter head... so much fun. Or wait is that the time just before Purim... the month of Adar. Purim is when we made baskets of food and I learned were the tradition of Easter Baskets comes from. Hi Diane! Happy to join in this week! Thanks for hosting! I just love your Spaghetti Squash, the sauce looks awesome. Hope you are staying warm and have a good weekend, thanks for hosting! It actually did warm up, but I still want the hot chocolate from your party... sounded soooo good. Thanks for hosting! I need to give spaghetti squash another go, I've only made it once, and I don't think I added anything to the noodles, just dumped red sauce on top! Fresh herbs would definitely make a difference! Butter or an olive oil sauce with fresh herbs is definitely the way to go with this squash. I't flavor is too light for red sauce. I hope you enjoy it more the second time. Thank you so much for the feature, Diane! 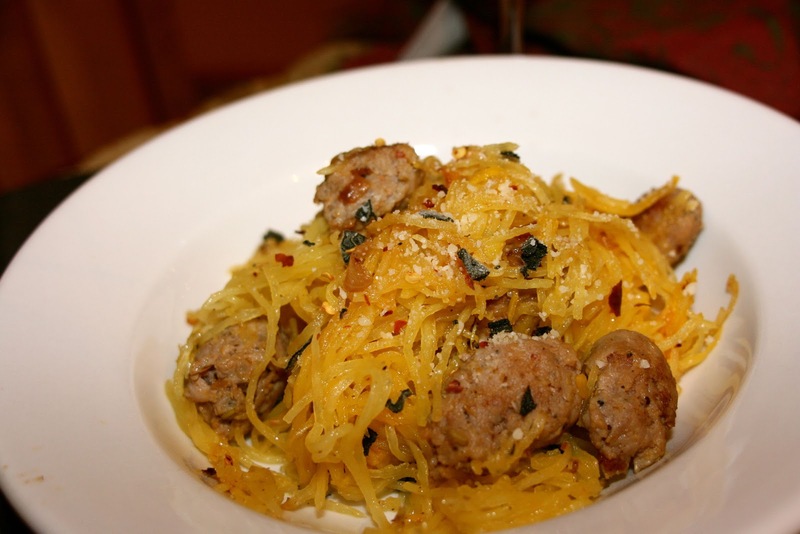 I love your spaghetti squash recipe, and the other features look delicious too. Have a lovely weekend! I just got some rose syrup for a cake I will be making. Would you know if I can substitute it for rosewater? I want to make your custard too. I am so excited... I tend to stick to Mediterranean dishes on the blog so the Portuguese cookbook will definitely be an inspiration. Thank you, thank you again. You really made my week. My mom often made us "Spaghetti" using a spaghetti squash. It was about the first squash dish I ever truly enjoyed, and helped me find more ways to eat it that I enjoy. Wow, your mom was hip... I never heard of spaghetti squash until I became a vegetarian. 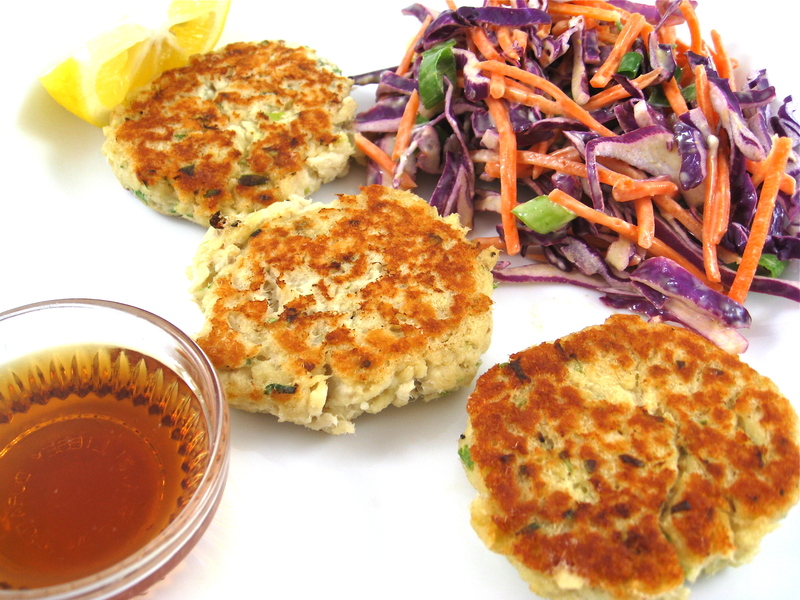 Diane, thanks so much for featuring my recipe, Skinny Fish & Chips...I'm so excited!!! 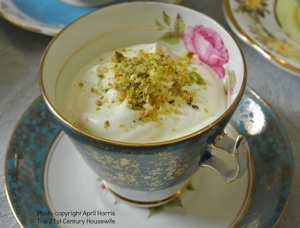 I love your Foodie Friday link party. Thank you so much for hosting each week! You are very welcome Nancy... it is a really creative recipe. Thanks so much for sharing your series... I have been try to cook more in season foods like this squash. I really need to start using more spaghetti squash!!! This looks delicious! Thanks for hosting and have a great weekend Diane! It is kinda fun... I would love to see what you come up with using it. Thanks for hosting and the invitation Diane! Hope you have a great weekend. Hi Diane! Thank you for hosting! What awesome features this week. De-LISH! I shared Toasted Coconut Chai Macaroons with a quick how-to video on how easy it is to make them. They're super healthy and tasty and perfect for snacking when you don’t want to feel guilty about snacking! :) Happy weekend! Your macaroons sound really interesting... can't wait to really check out the recipe. Thanks for stopping by. Thanks Diane for visiting our blog and inviting us to the party. I've liked up a couple of things we've been working on this week. We'd love for you to come back and link up something at our "Weekend Potluck" party. Have a terrific weekend! I tried spaghetti squash once and failed miserably. I will have to follow your recipe--it looks so good! Thank you for the party. I made it once before and it didn't come out as well... the oil from the sausage really adds a nice flavor to it. 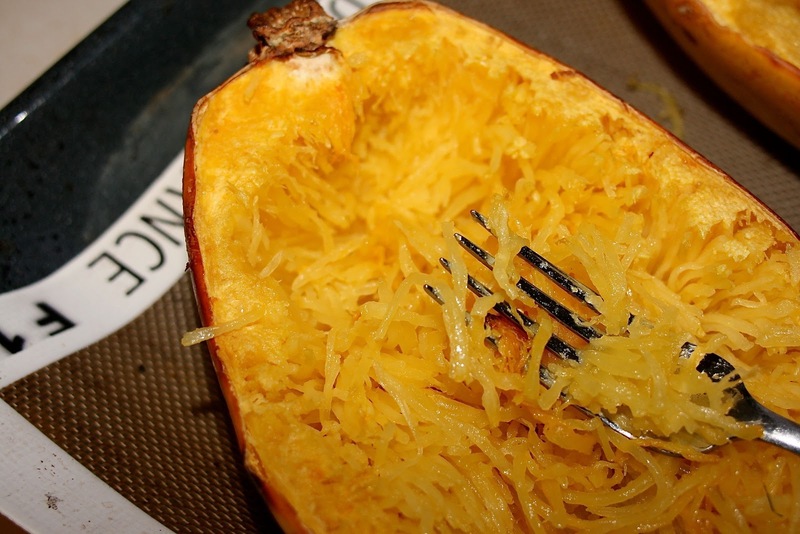 I enjoy spaghetti squash - such a healthy alternative to pasta. I have never tried it with sausage before. It looks delicious! The oil from the sausage really adds a nice flavor to the squash... you'll enjoy it. This looks wonderful. I like spaghettie squash but never used it as a main entree. Thank you so much for sharing this. Great weeknight meal. I've always wanted to try spaghetti squash. Yours looks delicious. Thanks for sharing at Must Try Monday. Awesome Squash! Hope you are having a great weekend and thank you so much for sharing with Full Plate Thursday.